Below is a photo collection and links for legendary man of mystery and deception, Kendo Nagasaki and his manager George Gillette. Please contact us with additional information about these photos. You will be credited unless you decline. 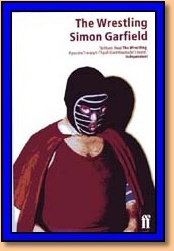 This is a good book on British wrestling history. Chapter 11 is on Kendo Nagasaki. The book is out of print, but used copies are readily available. Contact us if you need help finding one. Please click here to help us identify the unknown subjects--AND THE HALLS--in these photos. Thanks. Kendo Nagasaki is a professional wrestling stage name, used as a "gimmick" to denote a Japanese Samurai warrior with a mysterious past and in possession of supernatural powers of hypnosis. The name derives from the modern martial art of Japanese fencing (Kendo), and Nagasaki is a city located on the south-western coast of Kyu-shu-, site of the second use of the atomic bomb. The original and most famous use of the gimmick is by the legendary British wrestler Peter Thornley (born in Stoke-on-Trent) who made his name in ITV's World of Sport. This version of the Nagasaki character dates back to November 1964. 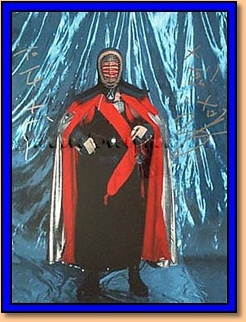 Kendo Nagasaki was one of the biggest draws of all time in British wrestling. In November 1964 Kendo Nagasaki had his first professional contest against "Jumping" Jim Hussey at Willenhall Baths. Nagasaki's most notable achievement during the 60's was in March 1966 when he defeated and unmasked Count Bartelli (Crewe born Geoff Condliffe) at the Victoria Hall, Hanley. In July 1971, in what was said to be a sensational TV contest with Billy Howes, Nagasaki's mask came off in the heat of the battle causing confusion all around. 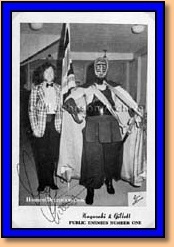 In December 1971 Kendo Nagasaki appeared for the first time with manager "Gorgeous" George Gillette at Dumfries. Kendo Nagasaki went on to tour Canada and North America during 1972 working for wrestling legend Stu Hart. In December 1975, Nagasaki was unmasked on television by Shirley "Big Daddy" Crabtree. This was two years before he had an official ceremonial unmasking at the Civic Hall Wolverhampton in what was one of the most anticipated and most watched moments in ITV's World of Sport. It wasn't until April the next year (1978) that Nagasaki appeared as an unmasked wrestler for the first time, in a contest at Croydon against Bronco Wells. However, in September 1978 Nagasaki retired from the ring on doctors orders and began a new career in rock management, but returned in 1981-82 in a few appearances for promoter Brian Dixon. By December 1986, Nagasaki made his masked return to the ring at the London Hippodrome in a ladder match with Clive Myers, and in September 1987 went on to become the WWA World Heavyweight Champion after defeating Wayne Bridges. 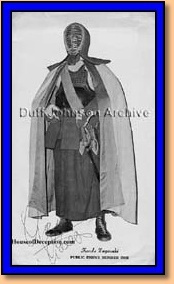 Starting in the early 1980s a new Kendo Nagasaki began appearing in the southern United States territories. This incarnation was actually performed by Kazuo Sakurada and looked vastly different from the original Nagasaki. Fans can easily tell the difference between the two versions: Thornley's Nagasaki wore a mask, while Sakurada's wore face paint instead. Sakurada also used "Asian mist" as part of his repertoire. During 1990, George Gillette died and Lloyd Ryan officially became Kendo Nagasaki's new manager. In October 1991, Kendo Nagasaki feuded with Giant Haystacks, and at one point was robbed of a chance at the CWA World crown after Haystacks deliberately pulled off Nagasaki's mask forcing him to abandon the match. Kendo Nagasaki retired once more in 1993 to concentrate on his role in commerce. He returned in May 2000 only to accept the Wrestler Of The Millennium trophy. In March 2001 Kendo Nagasaki made one more appearance in the ring to partner Vic Powers in a charity tag ladder match against James Mason and Darren Walsh. Since then, Nagasaki is said to be looking for a young wrestler to whom he might pass his 'powers' on. In November 1977 Nagasaki played the role of Death Angel in Brian Glover's TV play The Wild Bunch for Granada Television. He also appeared as a guest on Big Daddy's This Is Your Life. Nagasaki made another TV appearance in January 1992 on BBC2's acclaimed Masters Of The Canvas, a documentary on Peter Blake's desire to paint Kendo's portrait. And he was the subject of an edition of the BBC's prestigious, arts-oriented documentary strand Arena. Other TV appearances followed including the Feel the Sportsman section of the popular sports panel comedy They Think It's All Over. He also appeared on the Granada documentary Everything Stopped At 4 O'Clock, and in Paul Yates' video Images of Nagasaki. 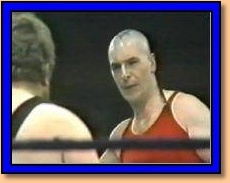 On the video games TV show GamesMaster, he played a wrestling video game against a young boy--and lost. Away from his wrestling gimmick, Thornley was the subject of a BBC news feature about a dispute at a care home of which he was owner/manager. The article above is adapted and edited by the House of Deception from Wikipedia Encyclopedia and may be read in its original, uncredited form at Wikipedia.org. The gallery photos #01-#06 (right) are of a tag match with Count Bartelli, refereed by Brian Crabtree (brother of Shirley) at the Victoria Hall, Stoke-on-Trent. #07-#11 pairs Kendo Nagasaki against one time British Heavyweight Champion Gwynne Davies, again at Victoria Hall, Stoke-on-Trent. #19, & #37 were taken at the same venue. All of these updates were sent in by a UK visitor who writes, "I can be certain of the above because the Victoria Hall was my local wrestling venue where I hardly missed a show for 11/12 years." Thank you, John ___ , for taking time to email the House of Deception with your corrections and additions. Online Sun Newspaper article, "Kendo: Behind the Mask"
British Broadcasting Corporation (BBC) article, "The Immortal Legends of British Professional Wrestling." BBC Black Country article on Kendo Nagasaki's 2008 comeback. Kendo Nagasaki with manager George Gillette. Many thanks to Kevin ___ for sending the photo and autographs to The House of Deception.